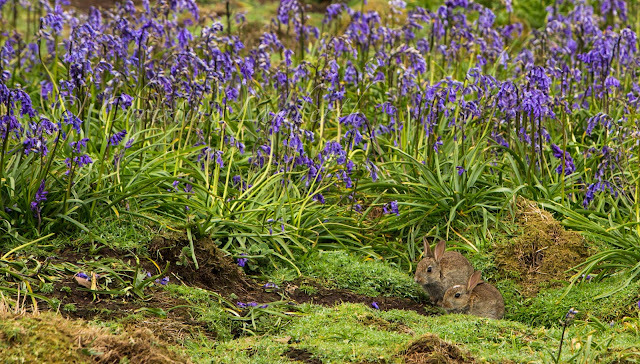 May of 2014 brings around an opportunity to do a little wildlife photography in the Great British Isles. A huge contrast to the plains of Africa, but nevertheless an opportunity to spread the proverbial African wings to distant shores. 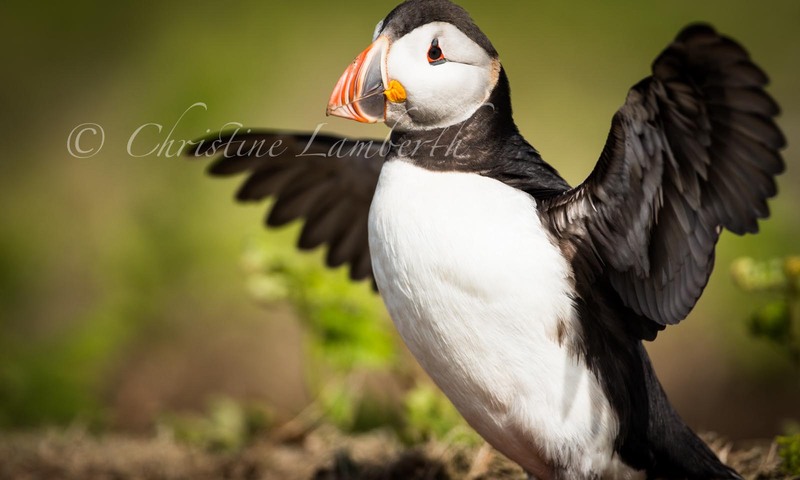 Skomer Island lies off the coast of Wales. As such the priorities change somewhat when it comes to packing. Water can now be classed as the enemy instead of the usual African dust and clothing suddenly is a lot heavier. Travel from London along the motorway is thankfully quite swift once one breaks free of the confines of the M25 and before too long the narrow windy tracks of the Welsh countryside make for a new driving experience. I strike out onto the A40 and head towards Haverfordwest. My iPhone Maps suddenly becomes my very best friend when I hit those unmarked country lanes. An African in a teeny weeny little car picking its way through the hedgerows must be a sight for sore eyes. I have vision after vision of my mangled body being pulled from the hedges after a head-on collision with another car. I arrive at the meeting point, marked Dale Princess on Google maps where the island ferry embarks. Carrying bags and gear along narrow steep paths is a new experience that reveals all too soon my non existent levels of fitness. A daisy chain gang to load the ferry is another new experience and soon we are on our way across icy seas. 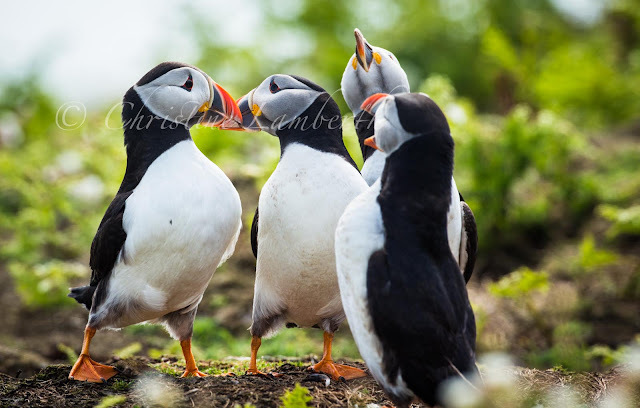 Little groups of Puffins congregated like this all over the island in some kind of ritual that definitely needed some explanations. Skomer Island lies a couple of kilometres off the coast and the landing platform is another quick learning curve for the unfit. I decide I will not count the stairs but suffice it to say that if there weren’t some much younger healthier individuals helping to bring the luggage up to the top it would have taken more than just an hour or so for me to have hauled myself up the stairs with my gear. Little puffs of white flowers translate into a cloud of magic. Finally we arrive at our unexpectedly comfortable digs. No extra comforts but serviceable and the biggest comfort of all is hot water. That, on its own makes for comfortable living. 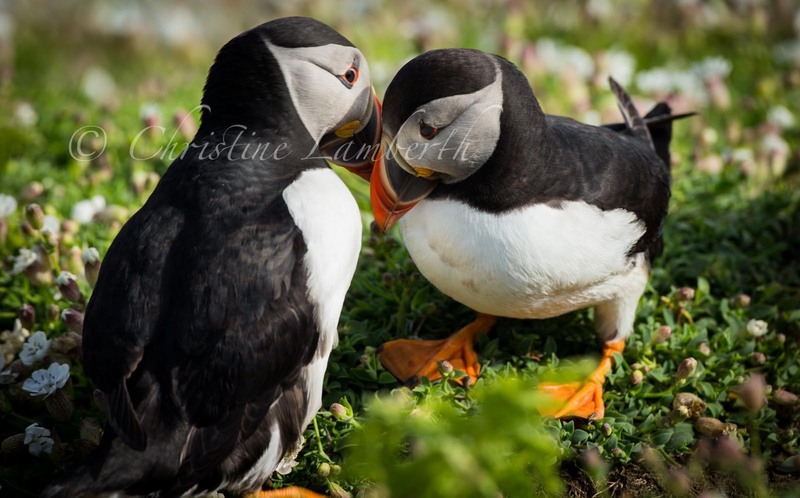 Luggage is strewn around the room, cameras emerge along with all the rain gear and its off across the island to find the puffins. The ever present rain is looming on the horizon but just as I would ignore the rain in Africa I ignore the rain in Wales. 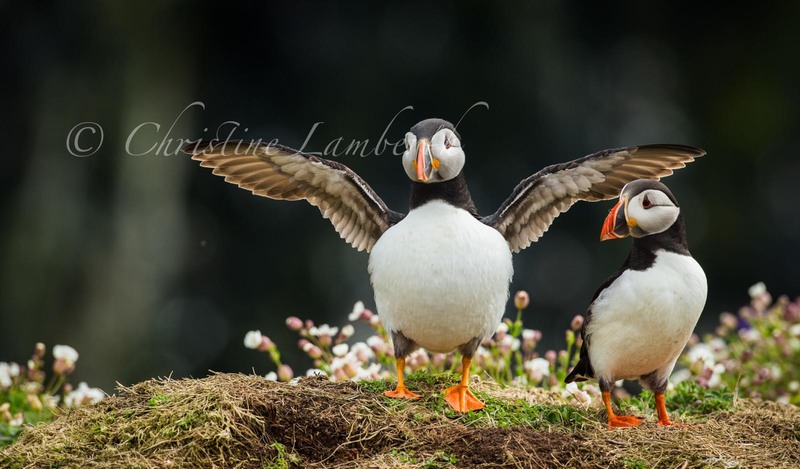 Puffins need to stretch their wings. Finding the puffins is not an onerous task at all. The discovery of the phenomenon that almost the whole of the island aside from some bluebell fields and pathways is one giant nesting site leaves one to wonder at the marvels of nature. Day two on the island and the rain seems determined to set us back but braving the wind and rain at the insistence of one of the group we head out again. This time we find a different spot and we are privileged to see some of the other species that populate the island’s cliffs. 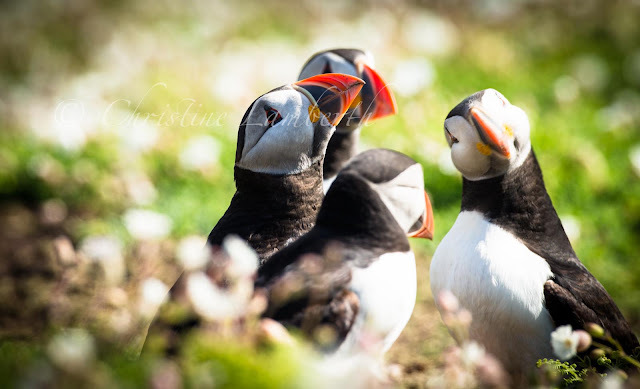 By the afternoon we are not discouraged at all despite the inclement weather and the afternoon finds us in a field of flowers being thoroughly entertained and entranced by these singular little feathered folk who are impervious to our presence. Hiking around the island lugging camera gear on your back is a new challenge for me. In Africa the norm is to be in a tin box on wheels and my fitness is seriously questioned on my quest. However, I find the bracing, cool air fuels my body to exceed its levels of activity. Limited time prevents me from exploring the whole island and indeed gives me cause to return once again. But in the meantime the thrill of spending time in nature with its creatures outside of a hide or a mechanical hide is quietly satisfying. 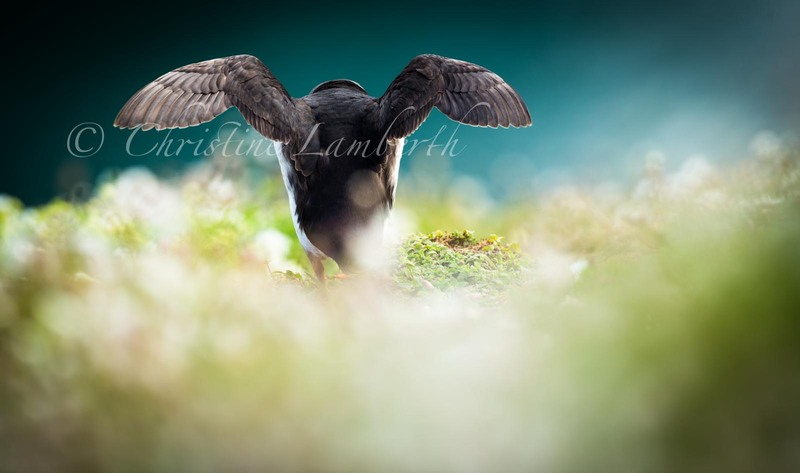 I get time to study the birds behaviour and their interactions in the many little groups spread across the island. I desperately miss the British version of Roberts (which does not exist) but which I find fulfils such an important part in informing me of the intricacies of the African bush. Unfortunately, despite the island being overrun by researchers and bird counters no one seems to be able to answer those questions that we Africans can find at the flick of a page or the click of a button. I make a note to go in search of what I would call “The Roberts” of Europe. As the end of the short trip draws closer I get to see the Manx Shearwater as it comes hurtling back to the island late at night. The experience of having to stumble along in the pitch dark with not a light in sight is faintly medieval in its nature and in sharp contrast to what I am used to where the dark presents clear danger. 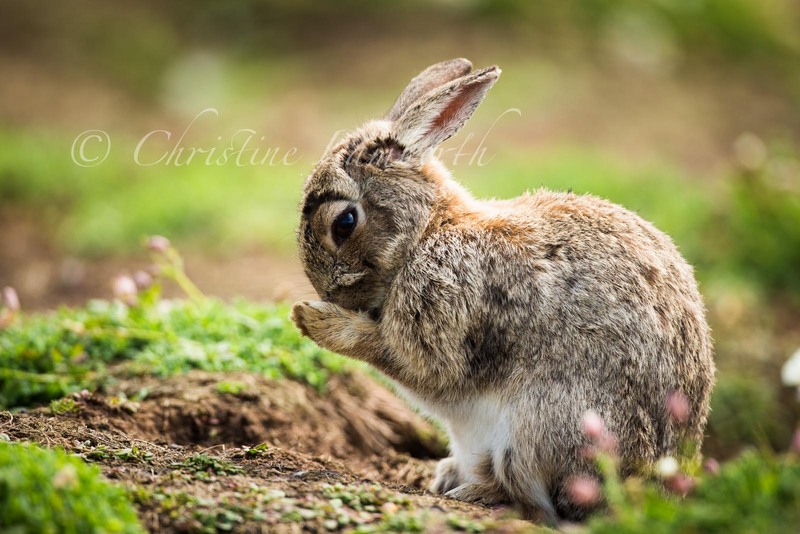 The island is also overrun with big fat bunnies who hop along the footpaths and appear to be in heaven as there are very few predators to send them scurrying. The sharp contrasts between an African bush experience and this relaxed back to nature expedition are expansive. 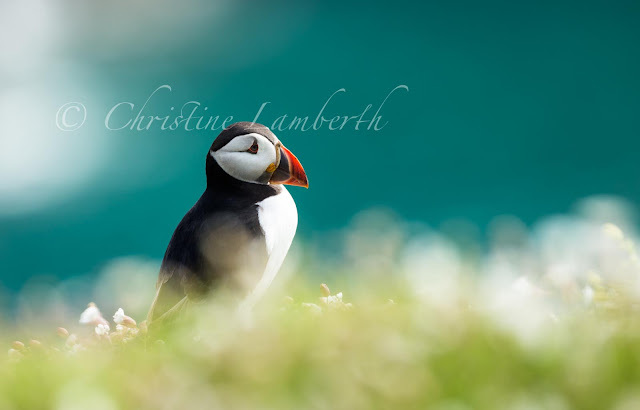 Tranquility and peace reign on this little island and the quaint, quirky Puffin has nothing more than storms to fear (and maybe man in his careless way). I leave the island regretting of course that I did not plan to stay longer but know that at some stage I can do this again but I would have to make it soon as I am not sure how many more years I will be able to schlep a 500mm lens on my back.